Nice pick! Seeing a lot of this one around lately! I've been dying to get into this series. I've heard tons of greatness about it! 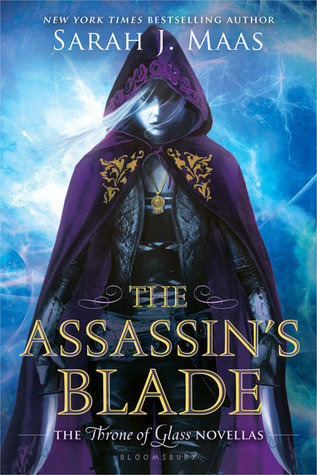 Looks like I need to pick up Throne of Glass asap! Great pick, Jenn! You NEED to read this, Lexi. You will absolutely love it. It soooo good. Fabulous pick! This one is on my WOW list, but I haven't featured it yet. That will be in a bout a month. I love that the covers are finally coming out on a few of my must read books! Yay! Something to tied us over while we wait for book 3! I love the cover! Thanks for sharing! *Fist Pump* Hell yeah!! I want this one so bad... after that previous ending, I want it like yesterday! !